A new year equals a new museumsessionprogramm! 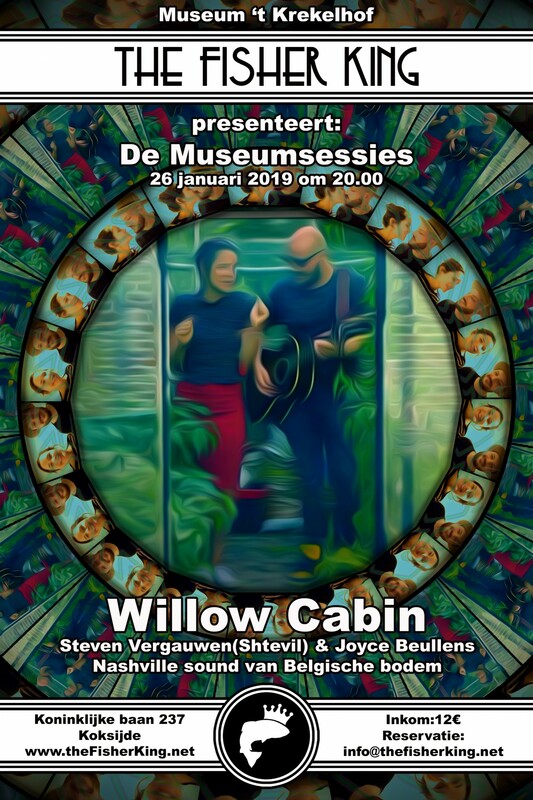 We kick of in january with Willow Cabin! Steven Vergauwen a.k.a. Shtevil & Joyce Beullens sing Americana and Country songs as if they lived for years in an old whiskeybar in Nashville TN. The thrive to transmit their emotions and love for these song to the audience. They bring their own songs and covers of true hidden treasures with a lot of passion and two gigantic smiles. Willow Cabin is al about “Three chords and the truth”. It doesn't need to be complicated!